Why PIC 4007 allows a waiver of health requirement? When can a case officer exercise a health waiver in a skilled visa case? How is the health waiver process undertaken? What if you test positive for TB infection? You have just received a bad news concerning your application for an Australian visa. It says you or one of your family members fails the medical examination. You know already that if anyone in the family fails the health requirement, the application is turned down. The rule here states that if one in the family fails, all fail. What will you do? Will you give up? If you ask us at Nowak Migration about your predicament, we will immediately tell you not to lose your cool. You need not even fret: All is not lost on your dream of traveling to and finding a spot for you and your family in the land of opportunity. If you need any assistance, book a consultation and we’ll let you know what could be done to get your visa granted against all odds. Thanks to the waiver on health requirement offered by Public Interest Criterion (PIC) 4007, you can have a new lease of life as far as pursuing a better future in Australia. Why does this type of public interest criterion allow the waiver of the all too important health requirement? What are the conditions that a visa applicant has to meet to be given this privilege? How is the process undertaken? To say that passing the health and medical check as a requisite for the granting of an Australian visa is important is an understatement. As far as the Australian government and the Australian people are concerned, it is a top priority. It ranks up there together with the concerns related to security. Just imagine the consequences if some people from other countries that have infectious diseases are allowed entry into the country. You are right in there: We might catch their disease, too. It happened in the history of many countries where thousands, nay millions, of their people’s lives were lost to the illnesses brought to their shores by foreign visitors. But in the case of Australia, it’s not just the disease contagion the government is worried about. They are also concerned about the impact of your disease on the cost of healthcare as well as on the opportunity of its citizens to gain access to healthcare system whose supply is constantly dwindling. Given the importance of the medical screening in the process of applying for a visa, why would PIC 4007 allow the waiver for such requirement? The answer to that question can be found in this statement: When it is in the best interest of the Australian community to waive the health criteria, the government may allow it. This effectively gives a departmental officer of the Department of Immigration and Border Protection (DIBP) the discretion to waive or not to waive aspects of the health requirement. The next question is this: How to determine Australia’s best interest? We will answer that question in the succeeding paragraphs. The side of the concerned or participating state or territory. The skills and qualifications that you — the main visa applicant — and your dependents can bring to the table especially as regards the growth and development of Australia. For instance, do you have the skills that match the available occupations in the participating state or territory? Are you proficient in the English language? Do you possess the needed work experiences for the various vacancies here where no citizen or permanent resident is qualified to do? Your ability to mitigate potential health care costs and prejudice to access issues identified by a MOC when assessing your health waiver against the health requirement. All other relevant factors influencing the decision of the concerned department officer on the issuance of the health waiver. These may include compelling and/or compassionate circumstances that warrant a waiver to be employed, for instance, your close family links to Australia or probably some reasons which make it hard for your family to go back to your home country, etc. DIBP officers will likewise look into the situation of your family members who have failed the health screening but are not traveling with you to Australia – who will take care of them in your absence and the possibility of them migrating here in the future. This will have a bearing also on the weighing of your case. The department is satisfied that the issuance of the visa will likely result in an undue cost to the Australian community or undue prejudice to the access of healthcare or community services among Australian citizens and permanent residents. First off, you do not need to apply for it. If you are qualified for the health waiver, the department will send you a letter informing you that you or one of your dependents has failed the medical examination and a waiver is being considered for your visa application. The letter will likewise instruct you to provide more information and evidence to support the invoking of a health waiver. If you are applying for a skilled worker visa, you will be asked to fill up a formal submission template detailing the factors why a health waiver should be called upon as regards your case. Once the DIBP receives your response, they will evaluate the additional information you provide and delve into your ability and the ability of any of your dependents to mitigate the possible impact of your presence here on the cost of healthcare and community services; they may also look for any compassionate and compelling circumstances that would support the granting of the health waiver in your case. If the department has assessed that the potential costs of your disease on the healthcare and community services is no less than AUD500,000.00, and possible prejudice to healthcare and community services among Australian citizens and permanent residents has been determined, your case officer is required to bring up your case to the department’s national office in Canberra for a recommendation. If you are applying for older skilled visa subclasses and your application is given a recommendation for the exercise of a health waiver, the DIBP may refer your case to the government agency of the concerned Australian state or territory in which you seek to reside. After everything has been said and done, if a health waiver is deemed to be exercised, processing of your visa will continue. Otherwise, your visa application will be refused. You will be notified of the decision. 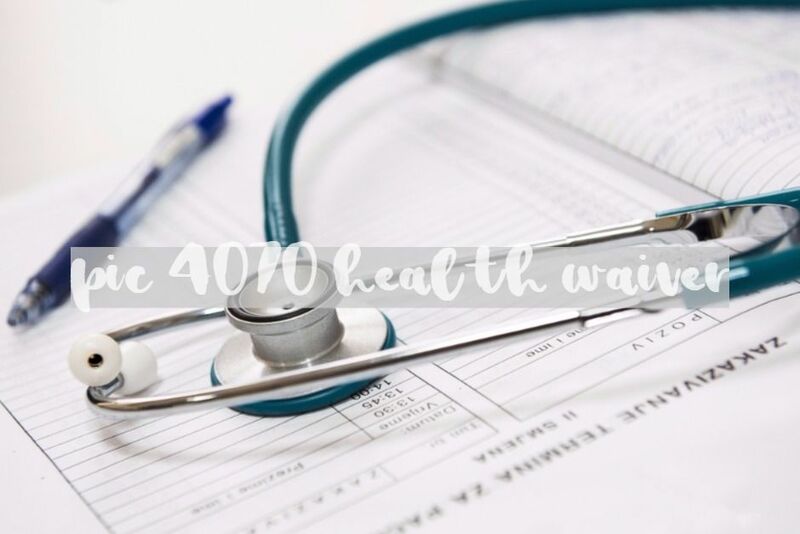 You will appreciate the advantages and benefits of PIC 4007 when it comes to waiver on health requirement if we compare it with two other public interest criteria, namely PIC 4005 and PIC 4006A. Among the three, PIC 4005 is the most stringent simply because it does not allow for any waiver of the health requirement. If you or any of your family members fails the requirement, your visa application will be turned down. That’s how straightforward PIC 4005 is. PIC 4006A, on the other hand, offers a waiver for health requirement but only for the applicants of 457 or Temporary Skill Shortage visa (simply known as TSS visa). If you have applied for this type of visa and you or any family member does not pass the health requirement, you can avail of the health requirement waiver if your Australian employer signs a ‘nominator undertaking’ wherein they agree to meet all the costs relating to your or your family member’s disease or medical condition that caused you or one of your dependents to fail to meet the health requirement. As we said earlier, PIC 4006A is only applicable to 457 / TSS visa applicants. What will happen to the applicants of other visa types? This is where PIC 4007 comes in. PIC 4007 health requirement waiver covers all other visas that have a provision for a waiver of health requirement. This is available for consideration if the DIBP has assessed that granting of this visa does not result in an undue cost to healthcare and community services and adversely impact access of the country’s citizens and permanent residents to such services. What if suddenly you find yourself holding an unfavorable decision concerning health requirement waiver? In other words, you got a NO for an answer from the approving authorities. Will you give up on your quest for an Australian visa this time? We at Nowak Migration will tell you not just yet. Again, it’s still not the end of the world for you and your family. You can still lodge an application for review of the unfavorable decision. You can address your concern to the Migration Review Tribunal (MRT). This disease is always given the exposure that it deserves every time the issue of health comes up, and for good reasons. To begin with, tuberculosis (TB for short) is such a serious illness that it has attained epidemic proportion in many places of the world and is considered a global emergency. It goes without saying that if you apply for an Australian visa, especially a permanent one, you will be tested for it. TB testing is a must in the visa application process. If, however, you apply for a temporary visa, you may still undergo tuberculosis testing for purposes of risk management. We make it clear here, though, that the country’s immigration health process focuses its tests on active tuberculosis, which, we all know, is the most virulent form of TB and poses the greatest risk to the health of the community. If the health authorities find out through the result of your chest x-ray that you are possibly infected with the disease, you will be required to undergo further medical tests to ascertain whether or not the disease is active. If the disease is inactive, you may pass the health requirement, but you may be asked to sign an undertaking in this regard. If on the other hand, the infection is active, the department turns down your visa application. Again, we ask you: Is it the end of the world for you and your family then? The answer is no — not just yet. You or a family member who has contracted the disease is given the chance to receive treatment. After the treatment, the Medical Officer of the Commonwealth will evaluate your condition whether you are already free of it, then you may be able to obtain the visa. Note #1: It does not mean that just because the health waiver is availed of, you are already exempt from all of the health criteria outlined in the Migration Regulations. You must still go through the required medical checks and be evaluated against the health requirements. Note #2: An application for a health waiver can only be considered if you reside or choose to reside in a participating state or territory – this is a state or territory in the country that’s designated by the Minister of Immigration. Note #3: The department has no obligation to waive the health requirements on the strength of a waiver application. Note #4: A health waiver may also be considered for other permanent visas to which PIC 4007 applies such as humanitarian visas and other non-humanitarian ones like partner and child visas. Note #5: All visas have some health requirement but not all of them have provision for a health waiver. Note #6: Just because you have satisfied all the other criteria for the granting of the visa that you apply for does not mean the health requirement can be waived. This section serves as some sort of footnote to the topic just discussed. We have provided below a list of the visas that have provision for health waiver. We do this for your easy reference and convenience. This list is taken from this source: visa health waiver at DIBP. Note: A waiver is not available to IEFAO applicants. *Please note a special type of waiver applies to this subclass. If you have applied in Australia as a long residence applicant or if you have applied as a defense service applicant. If you hold a visa obtained by ministerial intervention such as the already replaced subclass 600 or 676. Indeed, obtaining an Australian visa may prove daunting if you or one of your family members suffers from an illness that may pose health threats to the residents and guests of the country. And the actual process is certainly more difficult than what has just been pictured in this article. It is for that reason that many, if not most, of the visa applicants, turn to the experts in the industry for help. 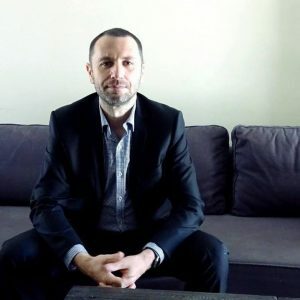 And if you talk about a visa and migration expert that has accumulated several solid years of experience assisting many people from all over the world to obtain the much coveted Australian visas, Nowak Migration is your go-to company. But don’t take our word for it. Let our track record, our achievements and the manner in which we handle your concerns speak for us. Try us now by calling the number (07) 3668 0658. Don’t forget also to subscribe to our newsletter to keep you abreast of the latest news and developments in the Australian migration landscape. If you or one of your family members fails the medical examination chances are your visa will not be granted unless you'll be able to demonstrate health is not a concern or your presence in Australia will benefit substantially for the local economy. In such a situation you might be able to get a PIC 4070 health waiver. i had apply 143 visa 5 years ago and refused at MRT because my mom had kidney transplant.